David Jones’ beautifully curated spring nursery collection has just hit stores, and it’s full of everything parents need. Plenty of baby gear is only good for the first few months of life, but this isn’t true of the Stokke Sleepi Bed ($1299). 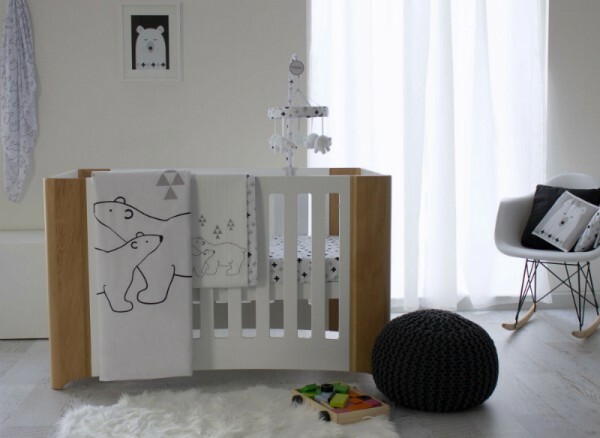 With the junior extension kit, this cot will take your baby from newborn to age 10! When he’s finally outgrown it, the Sleepi becomes a modern daybed or can be converted into two chairs. For something portable and stylish, the BabyBjorn mesh cradle ($399) is a lovely piece to keep around the house so your newborn is always within sight. Its white mesh makes it breathable for hot summer months, and the stand is a lovely natural wood. The Bebe Care Moses basket ($149) is another lovely bassinet option. It’s simple, pretty and small enough to tuck away when it’s not being used. David Jones’ baby linen selection will please parents who love neutrals, and parents who love pattern. We love a bit of colour for babies, and the department store’s branded Baby collection is full of lovely bright colours and prints. There’s a pink or navy knitted cot blanket ($69.95) and sheet sets with owls flying or sea creatures floating across the fabric. We love the monochromatic organic cotton pieces by Bubba Blue. There are layette sets ($29.99), jersey fitted sheets, and quilts ($99.95) decorated with simple fluttering feathers. As sweet it as it would be to spend your days in a cuddly cocoon with your new baby, eventually you’ll need coffee. For outings, David Jones has everything you need, from prams to carriers to car seats. 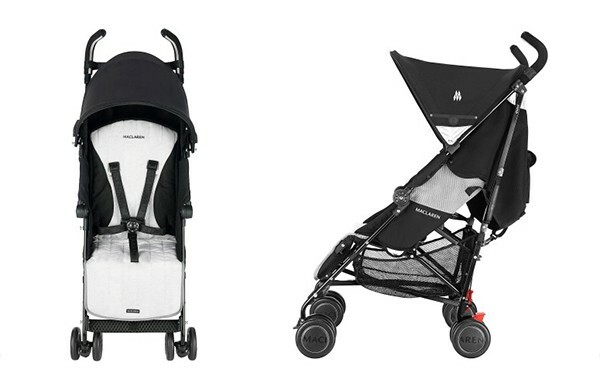 Bugaboo is a favourite since forever for its turn-on-a-dime manoeuvrability, and gorgeous coloured sun covers and seats. 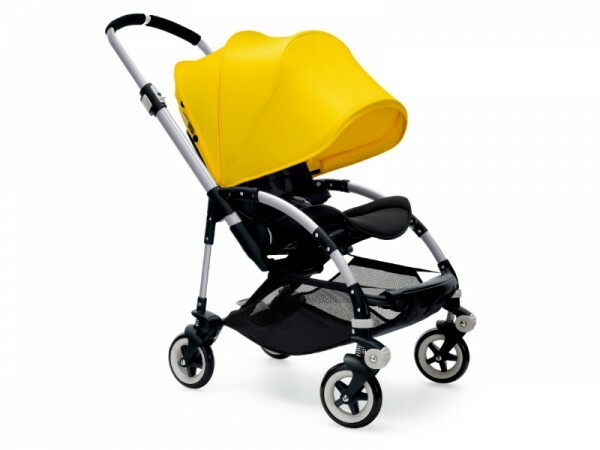 The Bugaboo Bee ($949) is great for getting out and about easily, and comes in bright colours perfectly suited to spring. If Bugaboos are deluxe prams with all the bells and whistles, the Maclaren Quest Elite is a brilliant, lightweight stroller ($399). Stroller competitors have nothing on the Maclaren when it comes to steering. You can push these prams one-handed while drinking your coffee, or sending the latest baby photos to your mum. Some babies scream down the house whenever they’re not being carried. Do your back a favour and get an Ergobaby 360 four position baby carrier ($239). 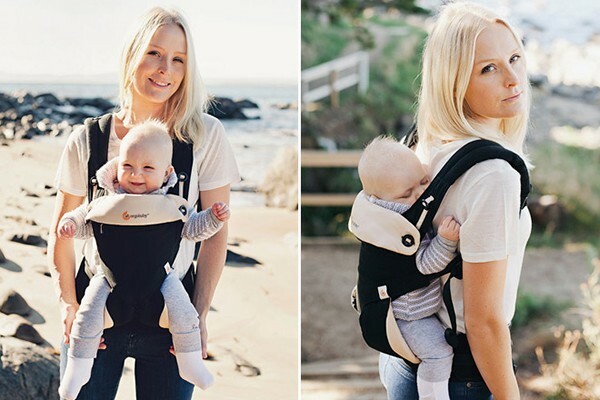 This carrier is suitable from newborn to toddler, and keeps kids comfortably in a seated position, whether they’re on your front facing in or out, or on your back or hip. The waist strap distributes baby’s weight evenly, and if you’re a coordinated kind of mum, you can even breastfeed hands-free in the carrier. David Jones’ spring nursery collection is online and in stores now. For a great range of offers across the whole range, including clothing, accessories and furniture, check out the offers page for full details. For more beautiful spring pieces, have a look at what David Jones’ has chosen for spring baby fashion.